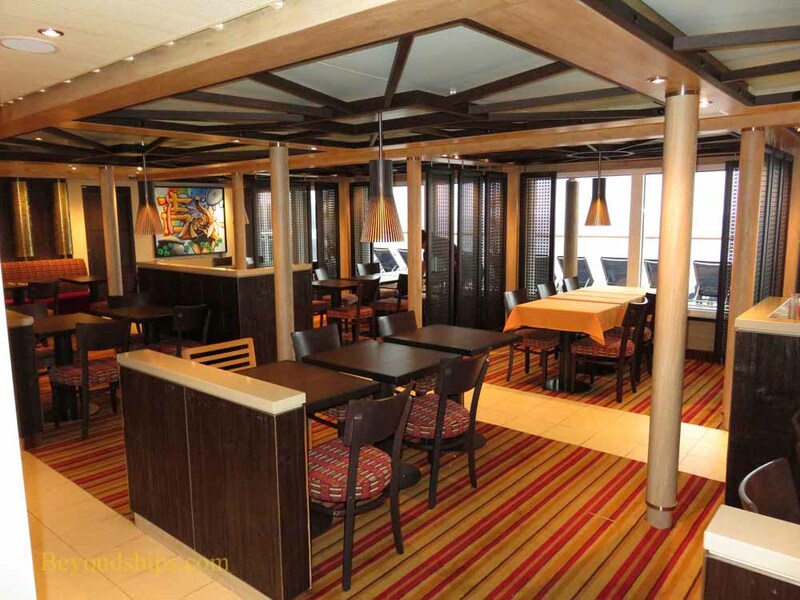 Carnival Vista offers several specailty alternatives. Except where noted, there is an additional charge for these venues. 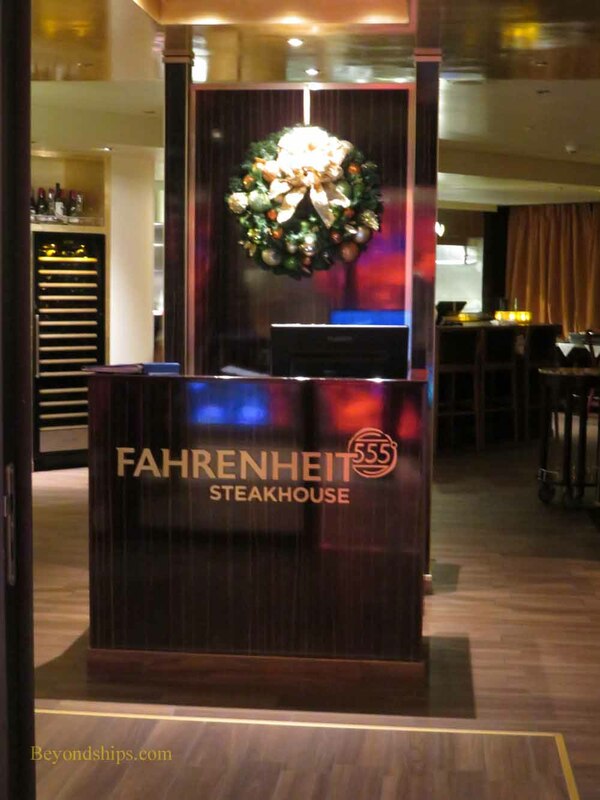 Fahrenheit 555 is Carnival's flagship specialty restaurant. 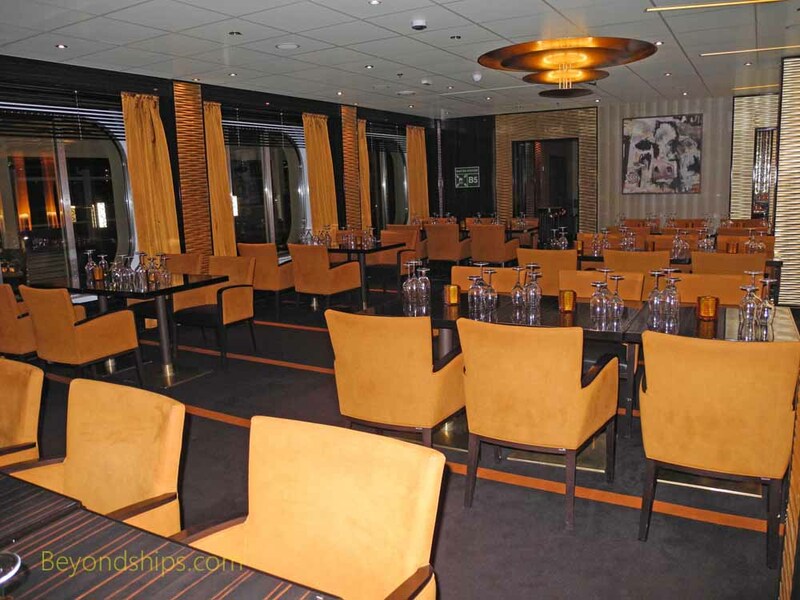 It is a steakhouse with an upscale but relaxed decor. 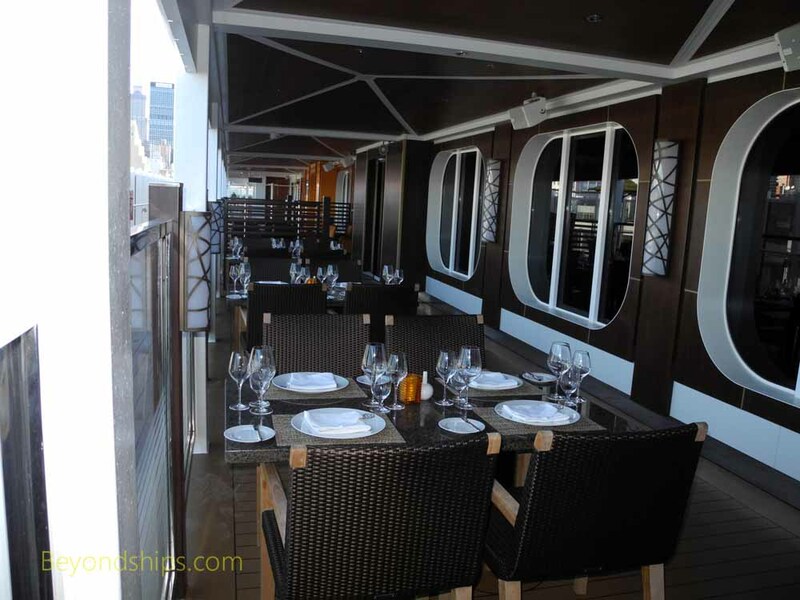 On Vista, it also has outdoor tables on the Lanai. 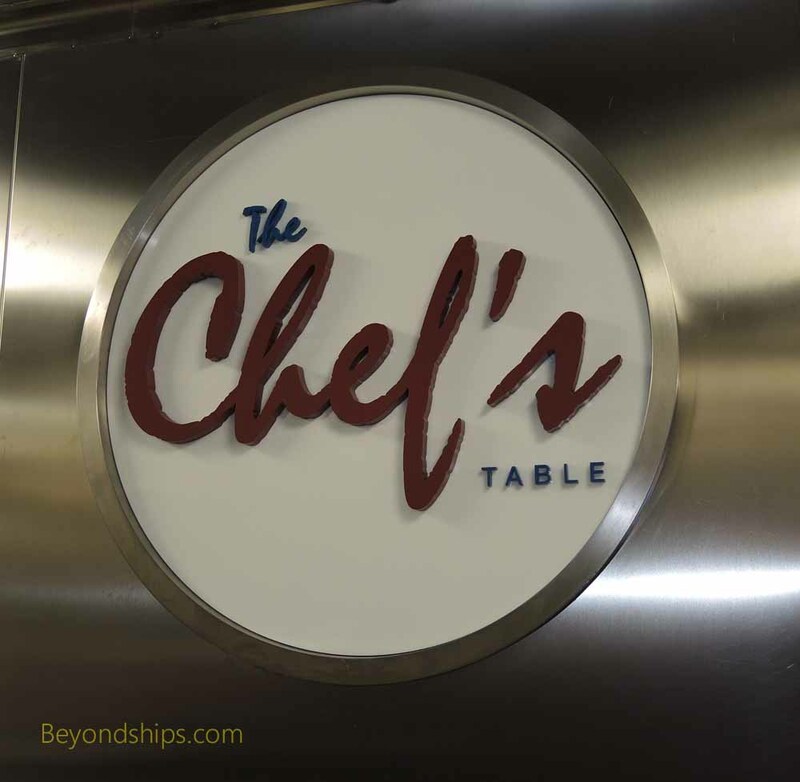 The Chef's Table is a dining experience in which a small number of guests have a multi-course dinner with wine pairings. 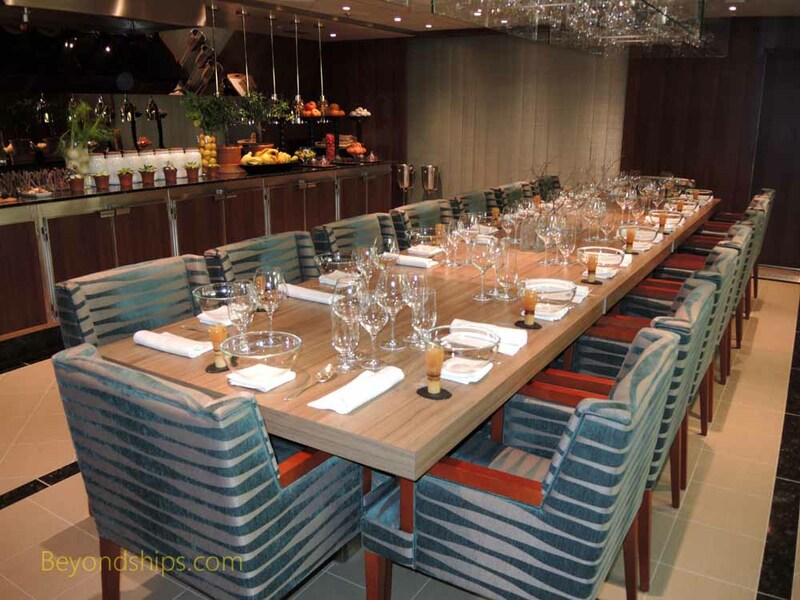 On Vista, there is a dedicated room for the Chef's Table dinners just off the main galley. 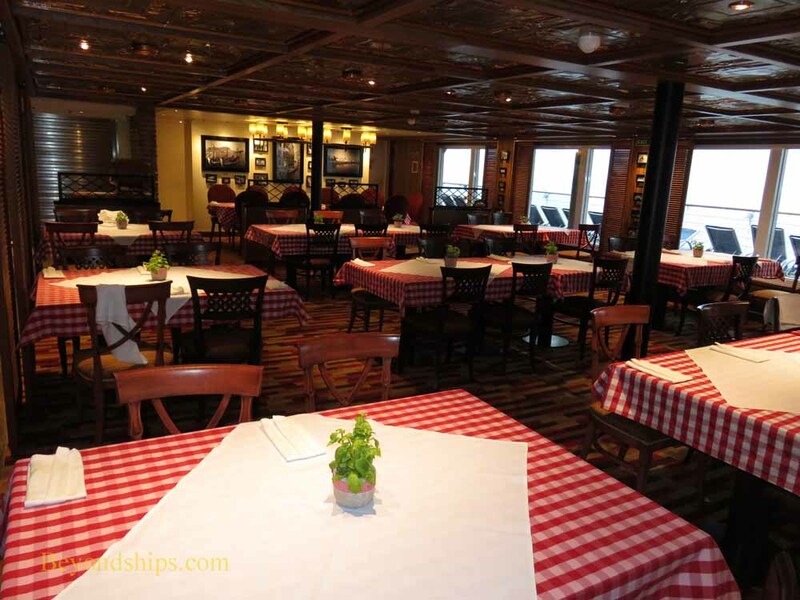 Large windows allow you to see the activity in the galley. 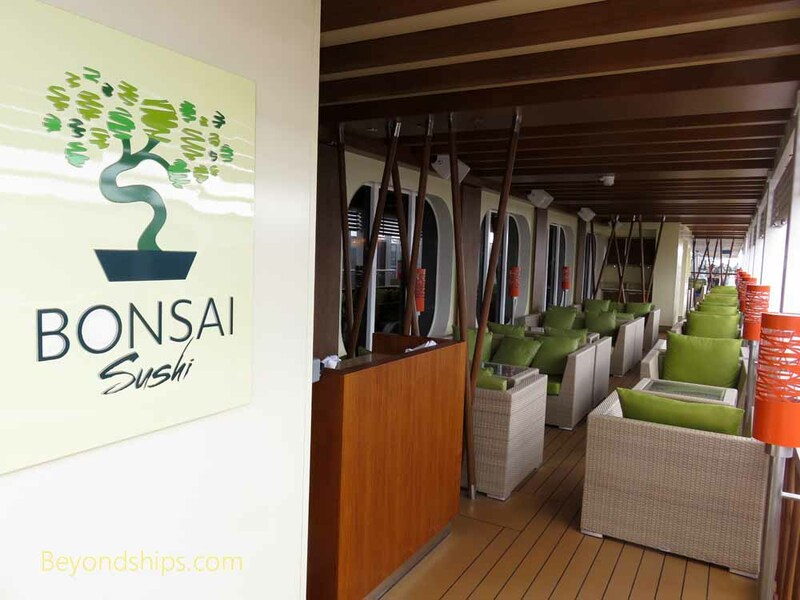 Above: As the name indicated, Bonsai Sushi is a sushi restaurant. On Vista, the restaurant has both indoor and outdoor seating. Right: Ji Ji's Asian Kitchen is an Asian fusion restaurant taking elemnts from the cuisines of a number of East Asian cuisines. 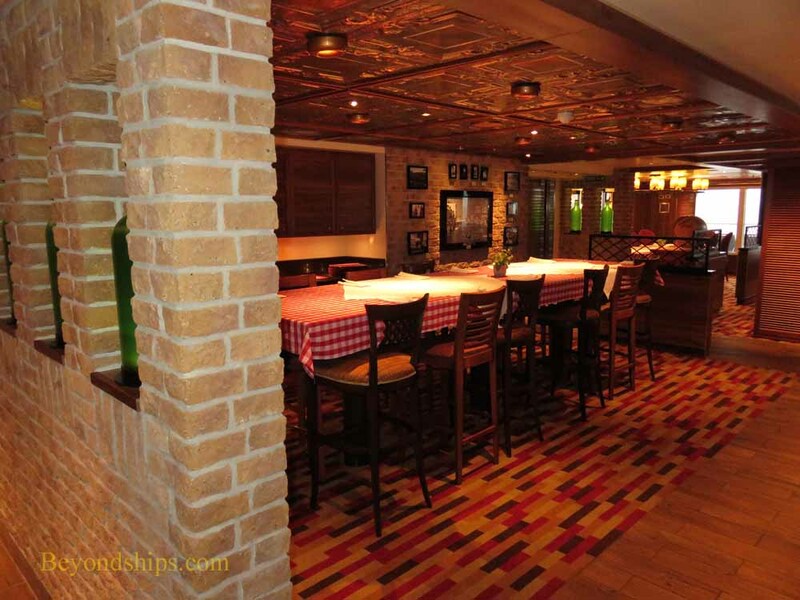 ​Below: Cucina del Capitano is Vista's Italian restaurant. 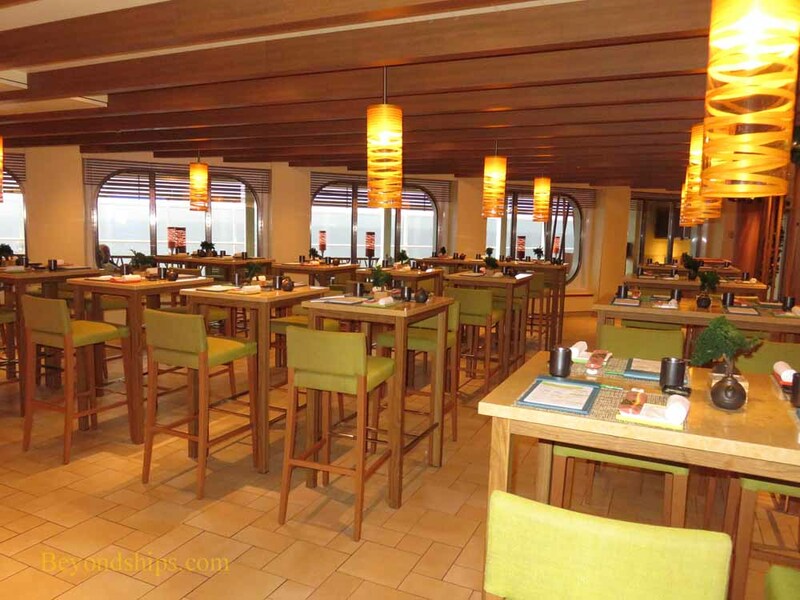 During the day, it is a complimentary pasta bar. 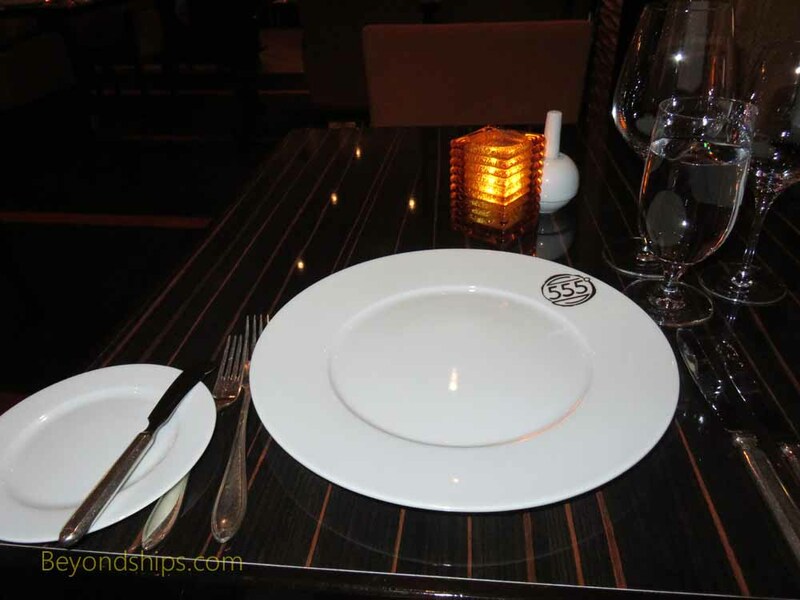 In the evenings, it features Italian specialties and there is a cover charge.